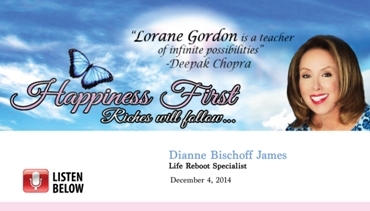 Life Reboot Specialist, Dianne Bischoff James' interview on Happiness First with Lorane Gordon featuring, The Real Brass Ring. 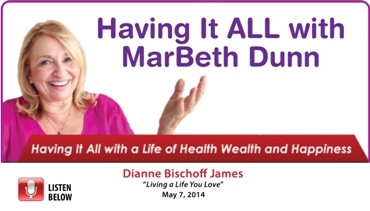 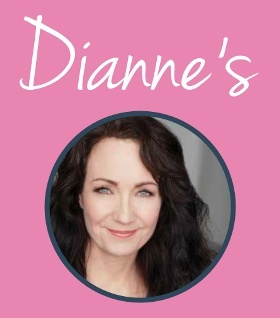 Life Reboot Specialist, Dianne Bischoff James' interview on Having It All with MarBeth Dunn discussing The Real Brass Ring and living a life you love. 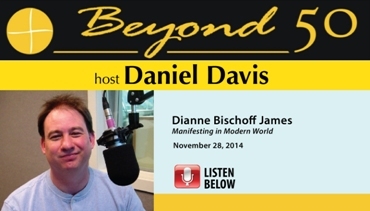 Life Reboot Specialist, Dianne Bischoff James' interview on Daniel Davis on Beyong 50 radio program with tips for manifesting in a modern world. 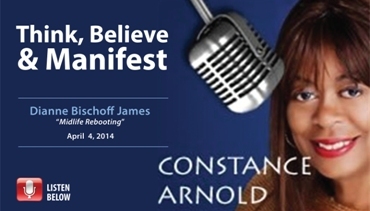 Life Reboot Coach, Dianne Bischoff James' interview on Constance Arnold's radio program, Think, Believe & Manifest. 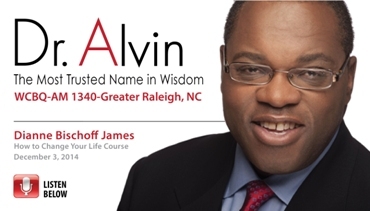 Life Reboot Specialist, Dianne Bischoff James' interview on the Dr. Alvin Show featuring The Real Brass Ring: Change Your Life Course Now. 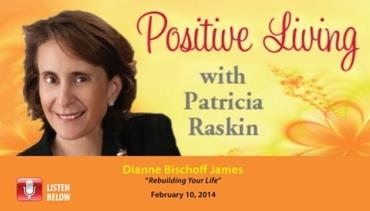 Life Reboot coach, Dianne Bischoff James discussed rebooting your life on Positive Living with Patricia Raskin. 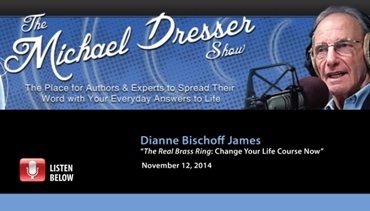 Life Reboot Specialist, Dianne Bischoff James' interview on The Michael Dresser Show featuring The Real Brass Ring: Change Your Life Course Now. 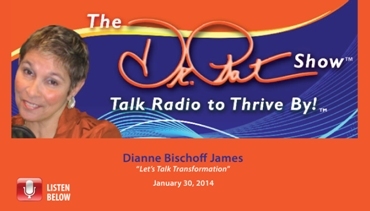 Life Reboot Specialist, Dianne Bischoff James' interview on The Dr. Pat Show discussing the art of transformation. 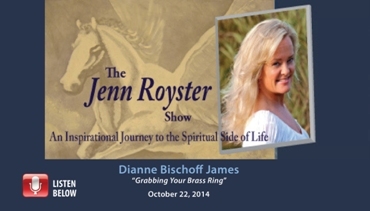 Life Reboot Specialist, Dianne Bischoff James' interview on The Jenn Royster discussing the many ways you can grab for The Real Brass Ring. 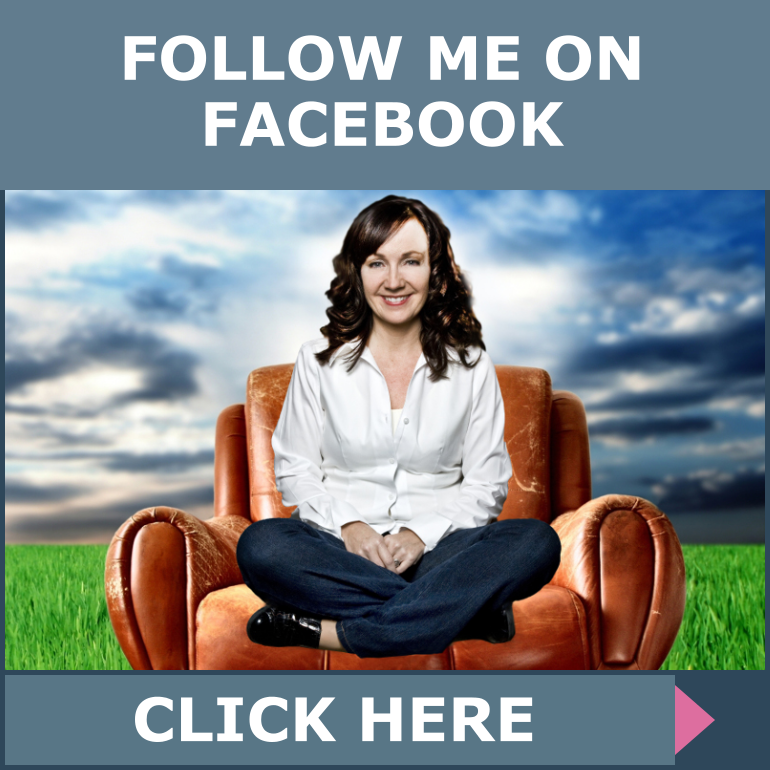 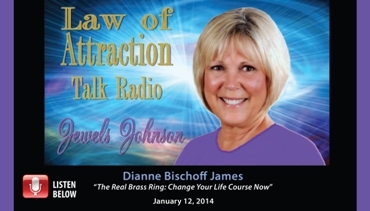 Life Reboot Specialist, Dianne Bischoff James' interview on Law of Attraction Radio with Jewels Johnson featuring The Real Brass Ring.